Who am I you ask? Well, I am a poet and originally from Avon, NY. I live in Indiana now with my husband. I'm an older person, not quite as old as dirt. As far back as I can remember, I have written poetry, and with every experience in life, I've found inspiration. (I really just write what the voices in my head tell me to write.) Never having been good at playing the part of "starving artist", I've had many careers, and I just recently retired from being an over-the-road truck driver with my husband Dave. For the past 13 years it has provided amazing opportunities for inspiration. I am now able to sit at home and "eat bon-bons and watch soap operas" as I always dreamed. (Actually I have never had a bon-bon and I hate soap operas.) I have published 5 poetry books and my children's book, Caesar and the Bluebells, was republished with new illustrations. More of my poetry has appeared in anthologies as well as several books by fellow authors. Rebecca Tran is a mother, pharmacist and author. She writes fantasy, sci-fi, and paranormal romance. Rebecca loves all things related to books and writing. She is a huge nerd who loves Star Wars, Star Trek, Lord of the Rings and Dr Who. Ten is her favorite. For more information on Rebecca Tran visit her website https://rtranbooks.net. RTran books also features her blog and offers book reviews, short stories, writing advice and bonus content from her work. For a free short story "Unlike the Rest" featuring Nisa Patel from "For Their Sins" visit her website. If you would like to be a guest on her blog please see her website for details. You can also find her posts featured at https://asmallgangofauthors.blogspot.com/ with eight other very talented authors.Currently Rebecca Tran has five award-winning novels all available here on Amazon. Lorraine Carey is a retired children's reading specialist, teacher, and an International Award-Winning Author. She has taught in many states in the US and provided reading services for students at a private school on Grand Cayman, where she lived with her husband for nine years. She was a city gal living in Orange County, California until fate whisked her to the Caribbean where life was very different from the one she was accustomed to. Trading in her fashionable heels for flip-flops was quite a change but led to a lifestyle that allowed for a writing career to flourish. As of July 2018, she has moved back to the states and residing in the picturesque city of St. Petersburg, Florida. Paula J. Mann was born in a small town in Italy in 1973. She graduated from the Art Institute of Perugia (Italy), but continued her educational path at the Faculty of Natural Sciences, and graduated in Geosciences at the University of Perugia. Not seeing any great career chances she moved to Germany, where she enrolled in the Faculty of Geosciences in Tübingen and graduated in Applied Environmental Geosciences. Her wanderings were not yet over, and soon after the graduation, she moved to Finland where she started a career in engineering geologist. During her career, she edited and written several scientific papers, but she could not forget her artistic background, so she started to write novels. None of those was meant to be published, until one day, encouraged by one of her best friends, she decided to share her stories with the rest of the world. She doesn't like a particular genre, and the best way to describe her production is, perhaps "fiction, drama". She likes to tell stories about what she observes around her. She loves traveling and photography, and from those experiences, she gets the most of her inspirations. Rick Haynes was born in London many moons ago. Having no desire to scribble, he was surprised he agreed to write a Drabble. His life changed completely a few months later when he entered an international Drabble competition. Spectral Morning had won first prize. A new world of exciting possibilities had appeared, but firstly, he had to face his nemesis. He went back to school. His first efforts at writing longer pieces made his teacher wince, but with her inspiration, Rick persevered. A novella with a touch of magic soon arrived, and two collections of short stories and Drabbles were published not long after. After their successful launch, he upped the ante. 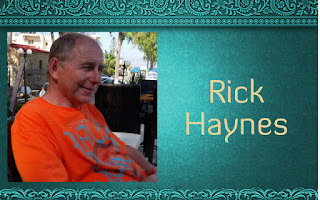 With his love for epic fantasy, Rick wrote two novels. His second, Heroes Never Fade, was well received. Reviewers comparing his work to David Gemmell and Game of Thrones, made his day. Some of his short stories have been published in Scribble magazine and The Chania Post. He also runs workshops for those wishing to write flash fiction. For the future, he plans to take typing lessons. 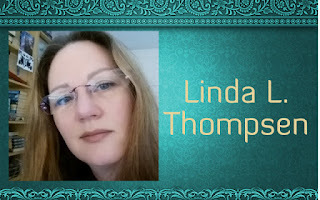 Originally from Denmark, now resident in the UK since forever and a day, fantasy author L. L. Thomsen, began her writing journey relatively late. This is to say that like most people who never had an instant calling, she tampered with other things like archaeology & prehistory, teaching and shop work for a while. However, with the birth of her first child, so was her muse discovered and whether a demon or an angel, this ‘muse-who-must-be-obeyed’ has yet to let her down. Interested in the idea of mixing it up, L. L.’s work include multiple genres under one title - grimdark, romance, mystery, sword and magic, adventure - her series: The Missing Shield, is far from your average read. L. L. is inspired by Wurts, Hobb, Erikson, and Martin. She endeavours to look beneath the surface of her characters, whilst providing the reader with an epic experience full of visual truth and elaborate world building. She always puts the best and worst into the melting pot, always making hers a guaranteed unique read. L. L. currently lives with her family + two cats and a dog, in the back-of-beyond near Sherwood Forrest. She’s yet to discover the truth about the Universe, but feels she sometimes comes close. Without Coffee, Chinese food and candles, the world would be a much darker place. If you like to chat books and writing, please feel free to drop her a line anytime. Her inbox is only a click away. 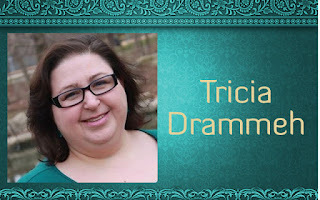 Tricia Drammeh is an author, editor, and blogger who lives in New Hampshire with her family. She writes a variety of genres including YA multicultural fantasy, contemporary fiction, and poetry. Through her blog and her book, The Essential Self-Publishing Guide, she is dedicated to helping aspiring writers achieve their dreams of becoming published authors. When Tricia isn't working on her latest novel, she can be found walking her dog, devouring books, or drinking tons of coffee. 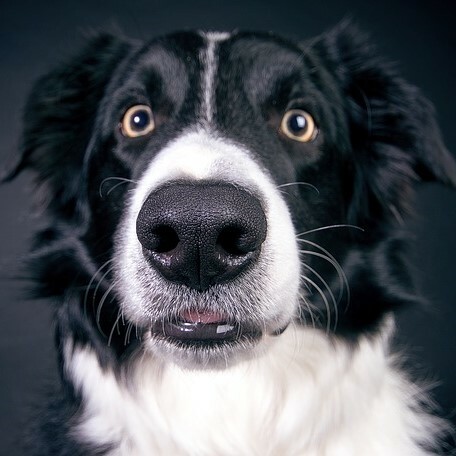 people called him Stopthat or Dontchewthat.